Ten years ago the mental health parity act passed into law. (Officially the bill is called the Mental Health Parity and Addiction Equity Act of 2008 or MHPAEA). Today seems like a good time to reflect on how mental health businesses weathered the health care storms of the last decade. 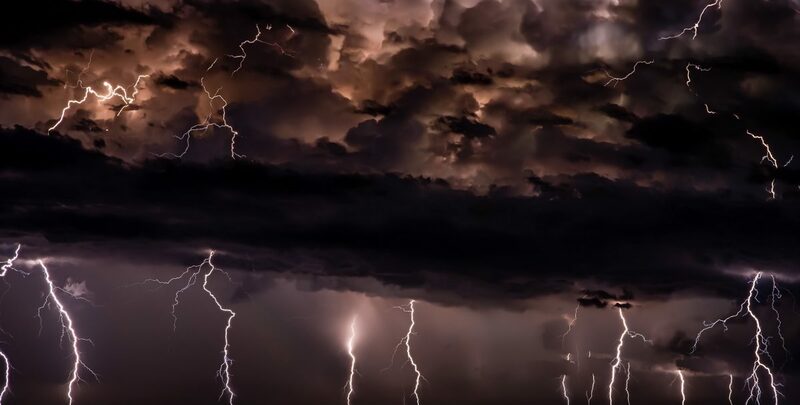 Let’s look at the disruptive storms that blew through the US health care system with a focus on the effects for coverage of mental health services. And why should coverage patterns matter? Because when coverage for mental health services improves, more get the help they need and everyone benefits. Prior to the passage of MHPAEA, a multitude of insurance barriers constrained coverage for mental health care services. For example, there were often higher deductibles than from other medical treatment, higher copays, restrictions on the number of inpatient days for mental health and life-time coverage limits as low as $100,000 per person for the rest of their lives. All these especially hurt those with longer-term mental health issues. One barrier after another made consistent treatment difficult. To be fair, insurance companies kept these discriminatory aspects in their policies because the public was not demanding a change. The demands for mental health coverage had not yet outweighed the economic and political obstacles to mandating mental health coverage. MHPAEA was supposed to fix that and it has helped. Yet sadly, even with the passage of MHPAEA, not all states have complied. The website Don’t Deny Me highlights many of the ongoing challenges in actually implementing parity. The battle continues as insurance companies resist the implications of MHPAEA. Nevertheless MHPAEA was a huge success for mental health. The law is an acknowledgement that mental health should be treated on par with other physical ailments. We came out ahead on this one. During 2008 and 2009, every business owner was terrified by the events in the wider economy. Business models were stress-tested like never before in the modern age. So how did mental health businesses fare? No data exists to definitively answer this question but I do have the experiences of the dozens I have talked to added with my own experiences. My findings? There were major differences between what happened in the private sector vs the public sector. Private mental health organizations (private practices) noticed that as unemployment increased during the recession, more and more clients lost health coverage. Many clients dropped out of therapy until they found a job and coverage could resume. This had a significant negative affect on private practices. But counterbalancing this loss were the many clients who were driven to therapy by added economic stress and increased fear of job loss. The numbers of those driven to therapy seemed to almost equal those driven away from therapy. Pretty much a wash. But in the not-for-profit system (sometimes called the “public system”) it was a different matter. These organizations saw many cuts in programming and funding. Government and grant-providing entities pulled back big time. In some cases, the cuts were severe enough to cause closure. And in all cases, managing money became a very challenging task that affected whether staff could be hired and whether programs could continue. As the economy has “normalized” and fears have diminished, public and private mental health organizations have also stabilized. With the passage of ACA in 2010, about 20 million uninsured people gained health care coverage. This was accomplished by expanding Medicaid and by expanding the private insurance market via the Health Care Exchanges. One of the features of the ACA was to require all policies to include coverage of mental health care. (For an excellent summary of the affects of ACA on mental health read: How Obamacare improved mental health coverage.) The ACA built on the Parity Act of 2008 and added the elimination of pre-existing conditions while expanding Medicaid. About 9 million are new additions to Medicaid since the ACA passed. Then additionally it added the Health Care Exchange system for those who purchase insurance without an employer. About 12 million get insurance this way. But was all this good for mental health businesses? In short the answer is clearly “Yes.” During the debate about the ACA, there was concern about whether insurance companies would lowball the reimbursement rates for the exchange-based policies. They did not. In effect what occurred is that more people had coverage for mental health treatment. And the hourly rate for mental health services is the same as for other policies. Mental health providers came out ahead on this one. So what has been the effect of the post-ACA changes on mental health businesses? These new plans will certainly be less costly for the consumer. The lower costs may entice some to sign up who currently have no health care coverage. But it is also clear that as people elect these lower cost plans, they may end up with a plan that does not cover mental health services. It is too early to see how popular these plans will become and whether they create issues for mental health coverage. Time will tell. From what I can tell, these developments will diminish coverage for mental health but they are unlikely to reduce coverage back to pre-ACA levels. Further out on the horizon is the rise of online tele-health or tele-therapy services. Clearly insurance companies are in favor of these services. Some have already created a fee structure for tele-therapy. Not surprisingly, the reimbursement rates that I have seen for these services are considerably lower for tele-therapy than a standard mental health session. Again it is too early to see if this type of service becomes popular. Stay tuned. In general, mental health practices have shown themselves to be quite resilient. The many storms of the the last decade have not derailed our progress. No doubt there will be new challenges. But if the past is a predictor, the business of mental health will adjust and thrive. Selling a practice: How practices become assets?